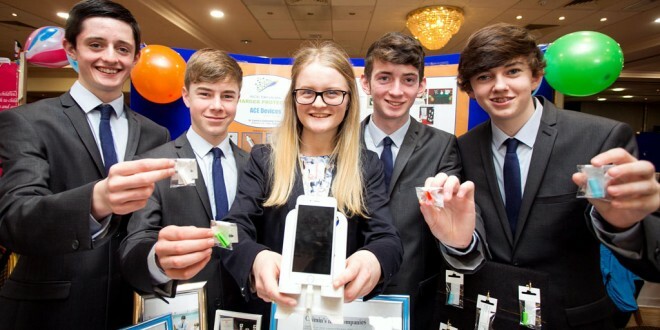 More than 250 Clare secondary school students participated in the county final of the Student Enterprise Awards at Treacys West County Hotel in Ennis today (Thursday). Hosted by the Local Enterprise Office Clare, the Awards Scheme forms part of Clare’s Student Enterprise Programme, which seeks to stimulate the creation of real-life businesses in secondary schools by encouraging students to research and manage their own business, with support from local business mentors. 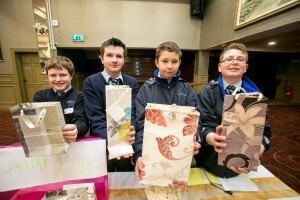 Junior Category Winners – Luxury Bags (St Anne’s Community College Killaloe). From left, Thomas Buckley, Gearoid Guilfoyle, Dawid Chojnacki and Mateusz Bogusiak . Photograph by Arthur Ellis. 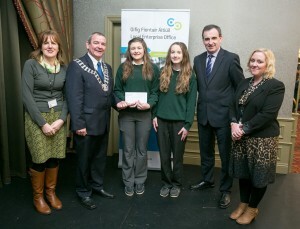 The Clare County Final saw students present 76 enterprise ideas at various stalls throughout the awards ceremony venue with prizes being awarded in nine categories. The first prize winners of the junior, intermediate and senior categories will go on to represent Clare in the national final in Croke Park on Wednesday, April 22. Junior Category Winners – 1st Luxury Bags (St Anne’s Community College Killaloe), 2nd Buí Beauty (Scoil Mhuire Ennistymon), 3rd Nifty Knots (Scoil Mhuire Ennistymon). Intermediate Category Winners – 1st Blissful Beauty (St Michael’s Community College Kilmihil), 2nd iCases (Scoil Mhuire Ennistymon) 3rd Little Treats (St. Michael’s Community College Kilmihil). Senior Category Winners – 1st Ace Devices (St Caimin’s Shannon), 2nd The Unsinkables (St Patrick’s Comprehensive Shannon), 3rd Custom Clock-In (Rice College Ennis). Special Award for Business Plan – Galaxy Adventure & Comics (St Joseph’s Tulla). Special Award for Best Stand Presentation – Clean Slate Design (St Flannan’s College Ennis). Special Award for Innovative Concept – La Joie (St Caimin’s Shannon). 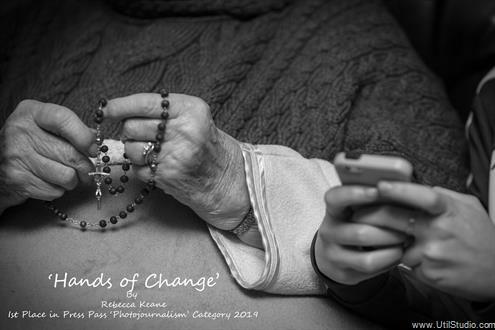 Teachers Prize – Tara Rynne (Ennistymon CBS). Adjudicators Prize – Crazy Maze (Rice College Ennis). Best Design – Luke Howley Woodturning (Ennistymon Vocational School). 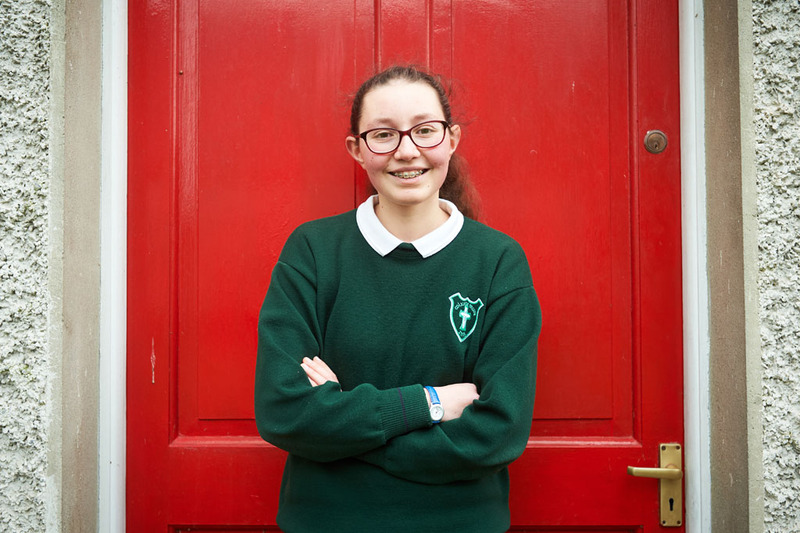 “This year the county final has been a huge success with 250 students participating on 76 projects. 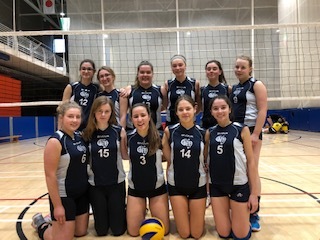 The mentor visits provided by the LEO Clare for each team to work with a business consultant to help with their mini-company has also proven very beneficial to students getting their business plans completed,” said Betty Devanny, LEO Clare.